The moving relationship with the military is strong, but the movement of troops can depend on the government budget restrictions and the requirement to deploy troops around the globe. Each of these requirements can influence the amount of work required by the respective moving companies. 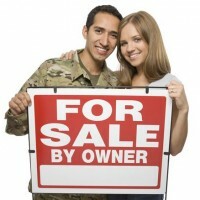 What is important to realize, with any military contract, you must provide a service of a high quality. Any sub-standard work will not get any more work. It is important to understand the basic understanding of the way the military works. It is not possible to solicit extra work or more contracts, you must wait until they become available. It is the most important concept, if you want to work with the military. You must offer the service which is of high quality, meeting with the requirements which are in the contract. It is possible that you can have a lucrative contract with the military, where you are able to move personal household goods and appliances that come with moving military personnel to other bases around the globe. But to achieve these contracts you must offer value for money, with quality service. The unfortunate position of only relying on the military for continued work for your employees means you are at the mercy of the government and the decreasing military budget. The decreasing need for the military presence has led to the removal of forces from these key areas. Be aware of these changes to stay competitive. This can have an effect on the amount of contracts that are available and this increases the competition for removal companies. It is important that even though it is a contract, you are still dealing with personal possessions which you must treat with care. It is through a high quality standard of work that will you be rewarded the potential for gaining more work in the future.